Tesla published a response on its blog on March 27. The company announced that it is cooperating with the investigation to uncover the vehicle’s data. However, due to the extensive and unprecedented damage caused by the accident, the company has yet to be able to obtain the vehicle’s logs. It did not say whether the vehicle was on Autopilot or not at the time. The auto manufacturer took steps to reassure Tesla drivers and others that the vehicles are still safe. It stated that Tesla drivers, using Autopilot, had traveled that stretch of highway about 85,000 times since 2015 and about 20,000 in 2018. There has never been an accident in that area, that Tesla is aware of. According to the company, every day there are about 200 successful Autopilot trips on that area of interstate. This is NTSB’s second investigation regarding a Tesla vehicle this year. The organization is examining an accident that occurred on Jan. 22, which involved a Tesla Model S rear-ending a fire truck parked on the freeway. If NTSB concludes that Tesla’s Autopilot feature contributed to either of these crashes, it would not be the first time. In September 2017, the federal agency determined the feature was part of the reasons for a fatal crash in Florida in 2016. In that crash, the Autopilot and driver did not see a semi-truck making a left turn in front of the Tesla, which then collided with the truck. Were You Injured in a Tesla Crash? If you were injured in a crash with a Tesla and you believe it was a design defect, not the driver’s fault, contact Brod Law Firm today. Tesla vehicles and their Autopilot feature are still relatively new, and each accident provides a wealth of information. Your situation may require an in-depth investigation to determine who is responsible. 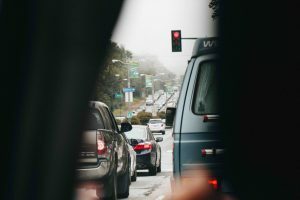 If a feature of the vehicle was all or part of the reason for the crash, then you need to speak with your attorney about whom to hold responsible. If the Tesla driver was at fault for the accident, then a personal injury lawyer can guide you through the insurance claim process against the driver’s policy. Contact Brod Law Firm today to learn more about your rights and options after a car accident.